The origin and evolution of Ethiosemitic peoples and languages in the Horn of Africa have been a matter of important debate over the past years in Ethiopian studies. Building on the fact that Ethiosemitic languages have been heavily influenced by Cushitic, this presentation intends to give an overview of the relationships between Agaw (i.e. Central Cushitic) and Ethiosemitic, showing that the study of language contact between the two families might provide insights into the understanding of Ethiopian history. The existence and distribution of “light verb constructions” (e.g. : hɨk’k’ alä « have the hiccups », literally « say hɨk’k » in Amharic), will be discussed as a case study to illustrate this viewpoint. Indeed, history can be possibly deposited on the music of a society. Music presents, constructs, and interprets information about the past, through its materials, content of verses, patterns of sound, time and place of performance. 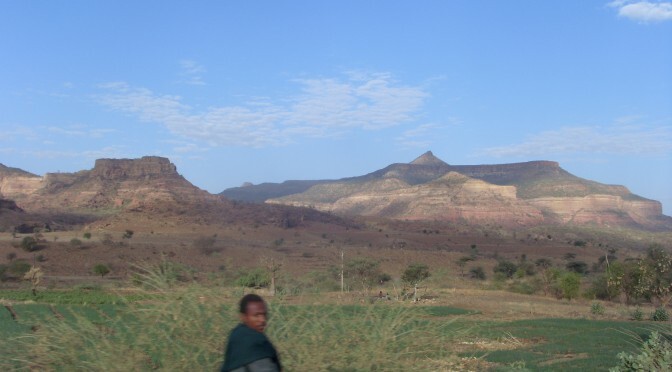 The Kumpal Agaw in northwest Ethiopia has a profound genre of music known as Fifi. Fifi is a commemorative ritual memory about the past. By virtue of it being commemorative, it remembers what happened or is believed to have happened in the past. And by virtue of it being ritual, it has possibly historically informed formalized time, place, and behavior for performance. Fifi is a good example of how history can reside in collective memory. Chloé Darmon est linguiste, doctorante à l’Université Lumière Lyon 2 (Dynamique du langage, UMR 5596). Sa thèse, dirigée par Gérard Philippson, s’intitule A morphosyntactic description of xamtanga. Desalegn Amsalu est chercheur à l’Institute of Ethiopian Studies, Université d’Addis-Abeba. Il est doctorant en anthropologie sociale. Chloé Darmon is a linguist, PhD student at Université Lumière Lyon 2 (Dynamique du langage, UMR 5596). Her PhD thesis is entitled « A morphosyntactic description of xamtanga » (advisor: Gérard Philippson). Desalegn Amsalu is a researcher at the Institute of Ethiopian Studies, Addis Ababa University. He is a PhD student in social anthropology.